When the chatter was at its peak on the 2018 tax law changes being proposed, one of the big areas of concern for homeowners was the elimination of the mortgage interest deduction. Right behind that issue was a similar treatment with regards to property tax deductions. As the rumors swirled and Congress moved, many feared both deductions had finally met their day and were going to be entirely eliminated, resulting in a major financial hit that many homeowners and particularly those in high real estate cost states would have felt painfully. As it turned out, there’s no reason to panic or suddenly dump titled real estate just because it has been bought with a mortgage. Yes, both issues were impacted by the 2018 tax law changes, but neither the mortgage interest deduction nor the property tax deduction were eliminated entirely. Instead, they were modified. Mortgage interest deduction – the new laws cap the eligible debt to $750,000. While old loans originated prior to the law change date are still eligible up to $1 million, new mortgages created after the enactment date are caught in the lower universe. However, being realistic, most homebuyers are not in the bracket that afford a $750,000 plus priced home except maybe in a few communities such as New York City or the San Francisco/Bay Area in California. So the change basically means business as usual for 9 out of 10 homeowners in the U.S.
Real estate property taxes – total state and local taxes eligible for deduction are now capped at $10,000. This is where some homeowners could feel a pinch as a typical home in higher cost states easily generates property tax levels of $5,000 to $7,000 for a $300,000 home. So those units assessed a higher value by tax auditors will likely feel this new limitation take effect. The standard deduction increase – remember, the above items are only useful to the extent that a tax filer itemizes his deductions. With a standard deduction now at $12,000 for an individual and $24,000 for a married couple, filing jointly, the option to itemize could go away entirely if the standard deduction provides a higher level of tax savings overall. And then that makes the above two deductions entirely moot and useless. Of course, it’s not entirely a plus since the personal exemption is also eliminated, thus reducing the benefit of the higher standard deduction by as much as $4,150 per person. In essence, the change is a wash, but could be enough to bar use of itemization, which would hurt greatly. So the changes did not wipe out any benefit entirely (except the personal exemption). 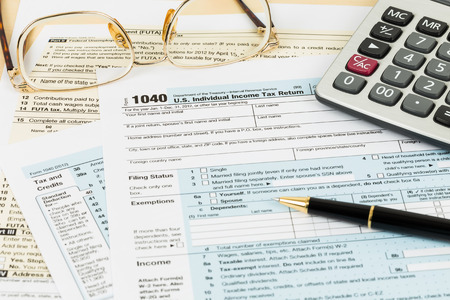 Instead, the real impact depends on which change applies to a specific taxfiler’s situation. This is why two homeowners in the same town with the same house and market value could end up having very different tax results with the 2018 changes. Because there is so much variance. As always, work with a trusted tax professional in order to understand how these changes will affect your personal tax situation.